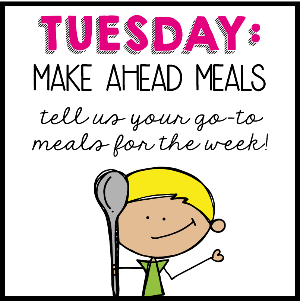 I'm linking up with Blog Hoppin's Teacher Week again today to bring you my favorite make ahead meals. I don't know about you, but I loveee to cook. A fun fact is that I had no clue how to make more than mac and cheese and cookies until I went to college. I lived in special housing and had to cook for 24 girls three times every semester. It.was.traumatizing. But it worked! Now I love to try new recipes and whip up all kinds of things. 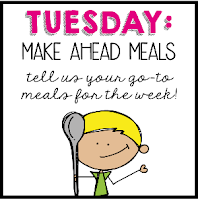 During the school week, though, I need to keep my meals short and sweet. This is my new go to meal. It's a breakfast food, but we often eat it for dinner. I like to make it a day ahead of time, and then heat it up for a few days in a row after that. I even take it to school for my lunch. So incredibly yummy, and healthy too! This is a to die for recipe that I discovered when I was doing Whole 30. 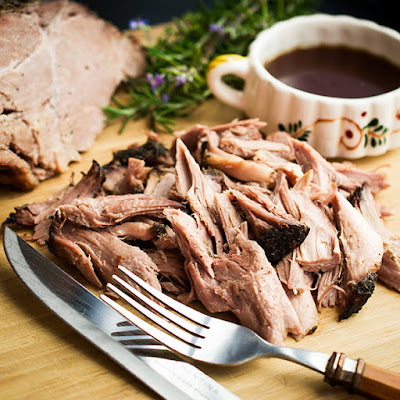 You grab a pork shoulder, stuff it with garlic and rub it with spices. Just throw it in the crock pot and voila! I swear the first time I made this my husband was oohing and aahing. Now he begs me to make it. If any of this intrigues you, come check out my Recipes Pinterest board. Almost all of the recipes I pin are easy peasy make ahead meals that aren't too stressful in the life of a crazy busy teacher. Last but not least, here are a few very random cooking tips to make your life a little bit easier. The crock pot is your best friend. 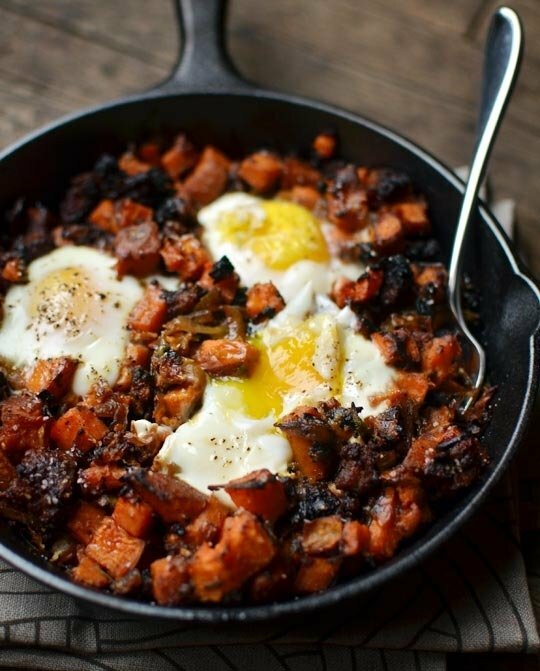 Throw your ingredients in the pot in the morning, and come home to a delicious meal. I often chop up my ingredients the night before, and just dump everything in before I leave for school. What could be easier? Double your recipes and freeze half. I do this all the time now and am obsessed! Lasagna, chili, homemade chicken fingers and chicken noodle soup are two things that I will often cook on the weekends and then freeze. I pull them out the night before a busy day and they are all set to reheat when I get home. Meal plan! I plan out our meals for the week and make a shopping list every Sunday, then either my husband or I goes grocery shopping. It is a little tedious but a huge time saver in the long run. 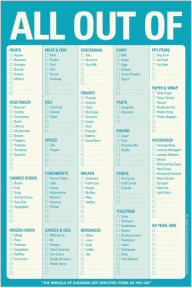 This is the grocery list I use (and love!). 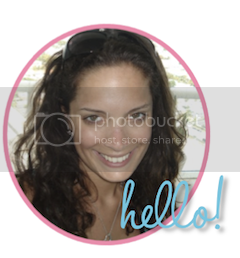 Labels: Blogging, Linky Party, What's Cooking?